"I had a wonderful experience with Michael John Ferry. My town home was sold after only 3 weeks under contract in the Winter months. Michael John presented my property in a very professional way, and he always had my best interest in mind. He was also very helpful in finding a beautiful new condo for me in Gold Coast!" "Michael John is an outstanding partner for real estate transactions. His work ethic is unmatched as is his patience and thoroughness throughout the entire process. We were interested in additional market research and Michael John responded with an incredible examination of current real estate conditions. Finally, Michael John is an outstanding negotiator that saved us from paying too much and accepting too little." "I worked with Michael John on the rental of my home. Michael John was a pleasure to work with every step of the way. He is very responsive and informative. I would recommend him to all friends and family." "Michael John was very straightforward when it came to communicating and he was always easy to get ahold of. He did an excellent job of tracking down lots of places and never settling until we did." "Michael John went above and beyond in every aspect of helping us find and buy our first home. From a marathon day of house hunting (17 homes in 2 days), to helping us negotiate an amazing price for our new condo we always felt we were in the best of hands. The process could not have been better or have gone more smoothly." "No one can believe how easy my condo buying experience was. While I give my husband and myself some credit for doing lots of research, knowing what we wanted and being ready to make a decision, I give all the remaining credit to Michael John. My husband and I are both from out of state, and have been renting for the past decade. As we set out to shop for our first home, we wanted to work with someone who was happy to do a little hand-holding, could handle explaining of how things work to newbies and who had lots of good recommendations for all of those other professionals you end up needing to hire during a home buying adventure. Michael John was all of these things, along with also being responsive, attentive to our needs and generally a fun guy to be around. In only EIGHT WEEKS (can you believe it?) we went from pre-approval to living in our new condo. This simply would not have been possible without the hard work of Michael John and the folks he recommended. We love our new home, love the price we paid for it, and love bragging about our real estate agent. Thanks Michael!" "Michael John is the best broker we ever could have found!! His communication skills and negotiation expertise were just excellent. In addition, his marketing skills contributed to a totally unexpected result!! Our house was under contract after 6 days going live and the closing came within 30 days. We could not have been more satisfied with his work for us. Absolutely great job done for us! THANK YOU from the bottom of my heart, Michael John!" "Michael John was very professional and committed to seeing our deal go through. He helped us to navigate hurdles we encountered during the buying process and we were in turn able to successfully close on our new home." "Michael is an excellent broker. Easy to work with, great advice, and a very hard worker. Garden units can be tough to sell but Michael was able to consistently give viewings and get the property sold!" "Michael John Ferry provided us with the tools and expert guidance to find our ideal home in the preferred area, negotiate a reasonable price to win the bid, navigate the various stages of inspection, appraisal and closing, and ultimately buy the house we wanted all in a 3 month time frame. He made himself available to us 24/7 and surrounds himself with a highly reliable support team." "Michael John is a family friend and I knew he would be the perfect person for me to work with in purchasing my first home. He was supportive, honest, kind and really kept me from freaking out. I knew he would be my advocate during this process and I relied on his knowledge of neighborhoods and pricing - and bought the perfect house!" "Michael was able to help us sell a property that the previous year had no-one even looking at. He helped us find a great selling price that we were comfortable with, showed us how to improve the property appeal in photos and in person, and worked hard to get us showings. In the end we were able to sell the property within months of having it listed!" 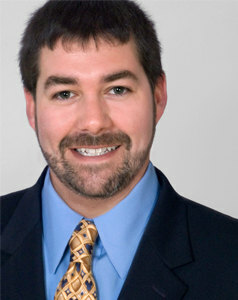 "Michael John provided valued expertise and passionate energy in selling our home. I'm already recommending him to friends and colleagues!" "Michael John was a pure pleasure to work with. Not only was he pleasant, he was pragmatic, experienced, and insightful. He worked extremely well with many others involved in our relatively complicated relocation transaction. We are grateful for his professionalism, wisdom, experience, and his relationship, all of which made selling our condominium as painless as possible. We highly recommend Michael John!" "I would recommend Michael John Ferry to all potential real estate customers. Michael is extremely attentive to your needs and goes above and beyond to assure that your needs and requests are met. Even after the deal, Michael follows thru to check in periodically to make sure you have a smooth transition. He is a highly recommended agent! "Michael John is the best broker we ever could have found! His communication skills and negotiation expertise were just excellent. In addition, his marketing skills contributed to a totally unexpected result! Our house was under contract after 6 days going live and the closing came within 30 days. We could not have been more satisfied with his work for us. Absolutely great job done for us. THANK YOU from the bottom of my heart, Michael John!" "Michael John knows what excellent service is and he goes the extra mile for his clients! His diligence and reliability, combined with his expert knowledge, make him a great agent for buying or selling property, and he is just a wonderful and kind human being as well!" "As a first time buyer, the process is quite daunting. Yet with Michael John's support and his excellent network, I am confident in my purchase and will be happy for years to come. He kept my interests at heart, negotiating at an exceptional level, and given his experience with financial markets, he is well placed to do the same for all of his clients. I can highly recommend his services." "My brother and I inherited property down in Florida and decided it was time to sell. Michael John has been a great family friend for years, so we gave him a call. Within a few days, Michael John had compiled a list of properties selling in the area and had contacted an agent down in the Sarasota area to help with the sale. We are happy to say we are just about to close and thanks to Michael John, the process went smooth and we felt we got maximum value. We highly recommend Michael John for all your real estate needs, even if it's out of state. He'll always be honest with you and will be one of the most personable guys you'll ever meet. Feel free to contact me anytime if you would like more information." "Michael was on top of this transaction, from start to finish. He responded promptly to emails and reminded us of key items that we needed to take care of. We always felt that we were in the loop, regarding information and decision-making. Plus he is a very positive person and fun to be around!" "Finding a house to buy is not an easy task, especially if you are a first-time buyer. However, thanks to the help and expertise of Michael John Ferry, we were able to purchase a condo that had everything we were looking for and more. Michael John was respectful of our budget and always accommodating during our search. He showed us every property we inquired about at our convenience and communicated promptly with others involved in the process so that we were able to move fast when we found the right place for us. Thanks, Michael John!" "I've made multiple transactions with Michael John Ferry over the last couple years. He has been so helpful during the process that I will only use him for my future transactions. My most recent purchase of a condo in Lakeview was a great experience. He was able to inform me of the differences between the various communities in Lakeview, and gave me expert advice on bidding process. I highly recommend you give Michael John and try and see what he can do for you!" "Michael John is simply fantastic to work with. He cares about the happiness of his clients and only wants to find the right property for you. Low pressure, easy to work with, and knowledgeable about the market. I left my purchasing experience highly satisfied." "My wife and I worked with Michael John durring both the buy and sell sides of our transaction. Throughout the process, Michael John was able to negotiate terms that exceeded my expectations, while treating both me and my wife with the utmost respect. I would highly recommend him to any one looking for a reliable and hard-working real estate agent." "Such tremendous knowledge and skill here. Realtors oftentimes get a bad reputation, but Michael John's financial background and street smarts are both truly unsurpassed. His ability to negotiate and evaluate property alike is like no other realtor I've ever worked with. Michael John is always high-energy, and he will stop at nothing to make sure I succeed!!! I highly recommend him." "I highly recommend Michael John Ferry because of his high energy, and persistence in following up with the purchase of a unit with a challenging listing agent. Very quick with communications!" "Michael John was an invaluable member to our team while selling our condo. He was very responsive to all our needs and made himself available when needed. We found Michael John to be very knowledgeable of the industry which made us feel secure when selling our beloved condo. We could not be more pleased with the smooth closing and professionalism. A pro!" "Very professional and helpful. Stuck with me despite numerous troll sellers. Would work with again." "Michael John was WONDERFUL! Not only did he ease us with our first home purchase he helped send us to the people necessary to help get our home. He was personal and accommodating to our needs. He also was never pushy and gave honest advice. He was there every step of the way and was a pleasure to work with. I got a great home and couldn't be happier!" "I can't say enough about the expertise and professionalism that Michael John brought to the table throughout the home buying process. As first time buyers, we were learning the many nuances of the Chicago real estate market, and Michael John brought many years of experience (and patience) to teach us what we needed to know. He took the time to understand our desires and coached us through every showing, while delivering insight regarding comparable properties and options available to us. We felt comfortable and immediately confident in the advice he provided, and when we found a place we loved, he guided us through an incredibly successful negotiation process. I couldn't have asked for better, and we are so happy in our new home! Thank you, Michael John!" "It was a pleasure working with Michael John Ferry on the purchase of our new condo. My husband and I were extremely impressed with his knowledge of the real estate market, neighborhoods, and buying process and his overall communication skills. Michael easily understood our requirements and wishes and used all of our time very efficiently throughout the process, and he taught us a lot along the way. He also helped negotiate a post closing occupancy by the sellers - which was something new to us - and it went very smoothly. I will gladly recommend Michael in the future to friends and associates, and we look forward to working with him again when the need arises." "As first time home-buyers we were very excited, and somewhat nervous, about home shopping. From the first minute of working with Michael we felt confident that we were going to find a home that exceeded our expectations. The entire process from our initial meeting to closing on our home was about 2 months! I believe this was due to Michael's dedication to his clients - responding to emails within minutes, setting up viewing appointments and second showings as quickly as possible, and guiding us through every step of the process from viewing properties to closing. Although our process was so quick and easy, at no time did we feel rushed or pressured. Every property we saw appealed to us and the properties only seemed to improve with each new option Michael found for us -he really tuned in to what our dream home was... and he found it! The home we bought "checked off all of our wish list boxes." I highly recommend Michael for his knowledge and experience, as well as his friendliness and patience. My wife and I had so much fun home shopping because Michael made it easy and fun!" "Michael was an excellent broker. Easy to work with, great advice, and a very hard worker. Garden units can be tough to sell but Michael was able to consistently give viewings and get the property sold!" "I've made multiple transactions with Michael John Ferry over the last couple years. He has been so helpful during the process that I will only use him for my future transactions. My most recent purchase of a condo in Lakeview was a great experience. He was able to inform me of the differences between the various communities in Lakeview, and he gave me expert advice throughout the bidding process. I highly recommend you give Michael John and try and see what he can do for you!" "Michael John's gregarious nature, intelligence, responsiveness and work ethic make for a winning combination. In contrast to all too many brokers, he is willing to learn and eager to brainstorm and try new ideas. He's genuinely interested in both his clients' experience and real estate itself." "Michael was great! We purchased a 7 unit building on the south side of Chicago. Michael was always attentive and available during our search for properties. We needed to act quickly with this property. Michael was on top of this and very helpful with our negotiations. Looking forward to working with Michael on more properties!" "Michael John Ferry was very instrumental in my first home purchase. He was extremely approachable and very well-versed in all of his information. He was extremely flexible, as we were so sporadic when it came to our availability - he would ALWAYS make our time work. I would highly recommend him to anyone. Not to mention... The specialized loan of a 203k FHA being so structured and demanding... He was a real gem!! Thank you Michael John!!" "Ive dealt with Michael now for 3 years and he has been persistent, consistent, knowledgeable and an excellent negotiator. I've referred him to several colleagues and will continue to do so and involve him in any future searches and purchases for Chicago and Illinois properties." "Michael John stuck with us through a long and challenging home buying process. He was incredibly responsive to our needs and requests. He spent A LOT of time showing us properties and walking us through the process of buying our first home. He listened to what we wanted and delivered. Thanks Michael John!" "Michael did a fantastic job helping us navigate through the purchase of this difficult transaction!" "No one can believe how easy my condo buying experience was. While I give my husband and myself some credit for doing lots of research, knowing what we wanted and being ready to make a decision, I give all the remaining credit to Michael John. My husband and I are both from out of state, and have been renting for the past decade. As we set out to shop for our first home, we wanted to work with someone who was happy to do a little hand-holding, could handle explaining of how things work to newbies and who had lots of good recommendations for all of those other professionals you end up needing to hire during a home buying adventure. Michael John was all of these things, along with also being responsive, attentive to our needs and generally a fun guy to be around. In only EIGHT WEEKS (can you believe it?) we went from pre-approval to living in our new condo. This simply would not have been possible without the hard work of Michael John and the folks he recommended. We love our new home, love the price we paid for it, and love bragging about our real estate agent. Thanks Michael!" "Michael John was incredibly flexible and responsive during a challenging home search in Chicago. He was always willing to respond and get us in to newly listed properties quickly so we had the best chance of making a competitive offer. When a seller was difficult to work with he was able to pivot and find us our current home, quickly move along the closing process and get us all settled in. Highly recommended!" "Michael was fantastic! He was extremely helpful throughout my entire process and able explain to me what was going on each step of the way. I was able to look at a lot of properties and when we found the right one, Michael was quick to move on it for me." "As a first time home buyer I was fortunate enough to have Michael John Ferry on my side as he is a professional, honest, and diligent realtor who fought hard to get me a great place under my budget. I strongly recommend Michael if you want some one who really watches out for your best interest." "Michael was on top of this transaction, from start to finish. He responded promptly to emails and reminded us of key items that we needed to take care of. We always felt that we were in the loop regarding information and decision-making. Plus he is a very positive person and fun to be around!" "Michael was extremely helpful throughout the entire process. He was very responsive and able to address any questions or concerns we had, as this was our first investment property purchase." "Michael made the home buying process really easy. Being a first time home buyer, I had many questions and Michael was very patient and accommodating with me. He helped me narrow down my search geographically and was always able to address whatever concerns or questions I had throughout the entire process. He wanted me to be absolutely comfortable with whatever home I would buy, and when I found the "right place," his knowledge of the real estate market reassured my own gut. Working with Michael and his team was an absolute pleasure, and I would highly recommend him!" "Finding a house to buy is not an easy task, especially if you are first-time buyer. However, thanks to the help and expertise of Michael John Ferry, we were able to purchase a condo that had everything we were looking for and more. Michael John was respectful of our budget and always accommodating during our search. He showed us every property we inquired about at our convenience and communicated promptly with others involved in the process so that we were able to move fast when we found the right place for us. Thanks, Michael John!" "I recently had the pleasure of working with Mr. Ferry as a client on an acquisition of rental property, and was so impressed with the level of professionalism, courtesy, and punctuality that he displayed. We were promptly shown any property we found interesting, often the same day. Mr. Ferry was early to every appointment, and his calm, affable manner made interacting with the sellers, building staff, and other real estate professionals a breeze. Never once did we feel pressured to go with the most expensive option, nor did we have to suffer the unctuous attempts so often made by realtors to suggest friends of theirs for ancillary services. After deciding on a beautiful apartment, we were accompanied by Michael John to the closing, where he continued to act as advocate and guide, until the final handshake. Thanks to Michael John Ferry, we now reside in a space that fits all of our specifications, and happens to also have a kickass lake view. I recommend his services completely and without reservation." "My husband and I truly appreciated the time and effort that Michael put forth during our decision making process. We came to Michael with the idea that we wanted to sell our condo only knowing that we wanted to walk away with a profit against our remaining equity. I had a few initial conversations with Michael over the phone, he visited our home, and then he spent some time preparing a lot of valuable information for us on comparable properties in our area. This information was extremely thorough and was critical in our decision making process.Michael was always professional in the way that he interacted with us both over the phone and in person. We truly appreciated his honesty and believe that we made the right decision for our family because of the education he provided us on the market, our neighborhood, and how it all related to our personal situation. Although we were a bit disappointed personally with not moving forward with selling our house, we are confident in our decision and now have a plan for the future. Because of his hard work and integrity, we will recommend him to others and use him again as our personal situation evolves." "I would recommend Michael John Ferry to all potential real estate customers. Michael is extremely attentive to your needs and goes above and beyond to assure that your needs and requests are met. Even after the deal, Michael follows through to check in periodically to make sure you have a smooth transition. He is a highly recommended agent! We have already decided to use Michael next summer when we will list our other property for sale. A true asset to @properties." "Michael John Ferry's knowledge and professionalism was extremely helpful through the process. His persistence also helped me close a very difficult transaction that probably would have fallen apart without him." "Michael did a good job marketing our apartment during the slow winter market. We very pleased to have rented the unit!" "We are tremendously happy with our new home. I doubt that we would have found such a wonderful property without Michael's exceptional assistance." "Michael was great. Once again he provided us with everything we needed and worked will our picky tastes. We have already decided to use Michael next summer when we will list out other property for sale. A true asset to @properties." "Michael John Ferry was a pleasure to work with! I appreciated his honesty, punctuality, and humor. He didn't pressure me into making a decision on a property, something that is rare in working with listing agents. Michael's communication was superb. He responded to all inquires and requests speedily and get me updated on every step of the process. I loved working with him and will strongly recommend him to friends and family." "Michael John Ferry was a pleasure to work with! I appreciated his honesty, punctuality, and humor. He didn't pressure me into making a decision on a property, something that is rare in working with [real estate] agents. Michael's communication was superb. He responded to all inquires and requests speedily and got me updated on every step of the process. I loved working with him and will strongly recommend him to friends and family."